▪ The year was particularly positive for liquid bulk traffic, which grew by 17 per cent and also reached a historical figure of 679,721 tonnes. 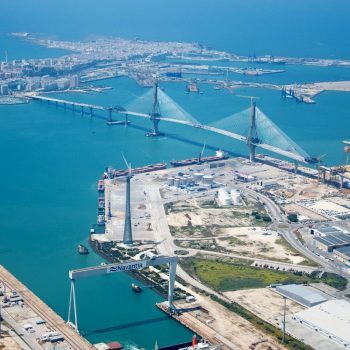 The Port of the Bay of Cadiz has managed to remain at 4 million tonnes of goods moved in 2018 despite the decrease in MSC traffic by x thousand tonnes. The total general traffic amounts to 4.075 million tons, which is practically equal to last year’s movement, with 4.1 million. 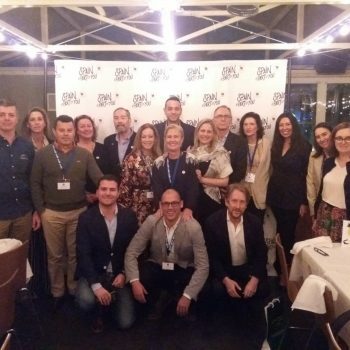 In the analysis of the result according to the type of merchandise, the liquid bulk group stands out, with a growth of 17.44%, which with 679,721 tons moved, closes a historic year for this traffic thanks to the activity of Puma Energía in the La Cabezuela-Puerto Real quay. 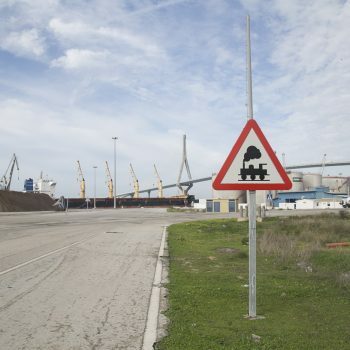 Only between 1983 and 1987, through the pipeline between Rota and Zaragoza, were higher figures reached. Also in 1995 there was a movement of liquid bulk in excess of one million tonnes due to water traffic as a result of the drought of that period. Solid bulks, on the other hand, are also growing in 2018, by 5.32 percent, reaching 1.8 million tons, half of which correspond to cereals and flours, which have seen their volume increase by 43 percent. Thirdly, general merchandise recorded a decrease of 12.84 percent, staying at 1.388 million tons, due to the reduction in traffic of the MSC line of containers. Consequently, and taking into account the types of traffic, the container (lolo) have been reduced by 29 percent in tons, reaching 339,050. Teus have decreased by 16.98 per cent (44,806) and the number of containers has decreased by 17 per cent (28,357). On the other hand, road traffic grew by 2.27% in 2018, with 908,752 tonnes. It should be noted that this traffic corresponds entirely (with the exception of the parts that Airbus loads in Puerto Real) to the movement of the Trasmediterranea line between Cadiz and the Canary Islands, to which must be added the tons moved through the container terminal (lolo). 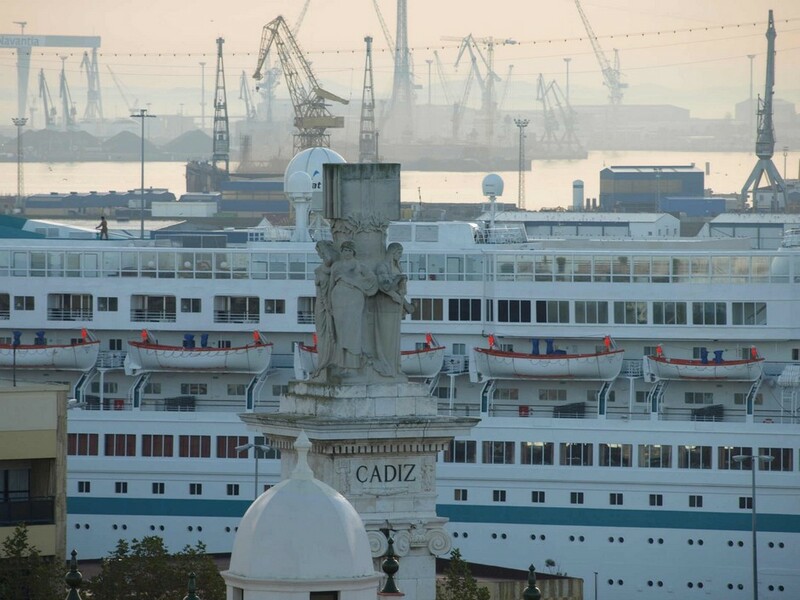 Thus, the Trasmediterranea line between Cadiz and the Canary Islands moved a total of 1,070,548 tonnes in 2018. On the other hand, cruise traffic recorded its best year last year, reaching historic figures both in terms of stopovers, with 322, and in terms of passengers, with 424,897, and a growth of 10%. Metropolitan passenger traffic also increased in 2018 with 22,645 people, 7.09 percent more than in 2017. Finally, fresh fishing recorded a rise of 8.59 percent, with 17,693 tons of fish that reached a sales value of 42.4 million euros, virtually the same figure in 2017. By docks, La Cabezuela-Puerto Real, with 2.57 million tons, accounts for 63 percent of the Bay’s traffic. 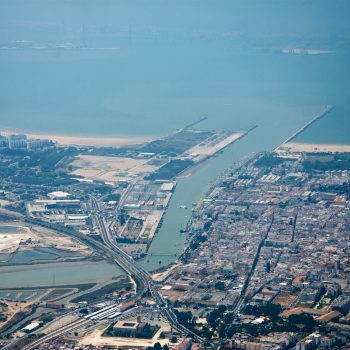 It is followed by Cadiz, with 1.34 million and the Free Trade Zone, with 144,574.